Are you looking to give away old-but-in-good-condition books? Bring your books for a one-to-one exchange. You could also buy their books at RM5 each. All proceeds go to the Mustard Seed charity. 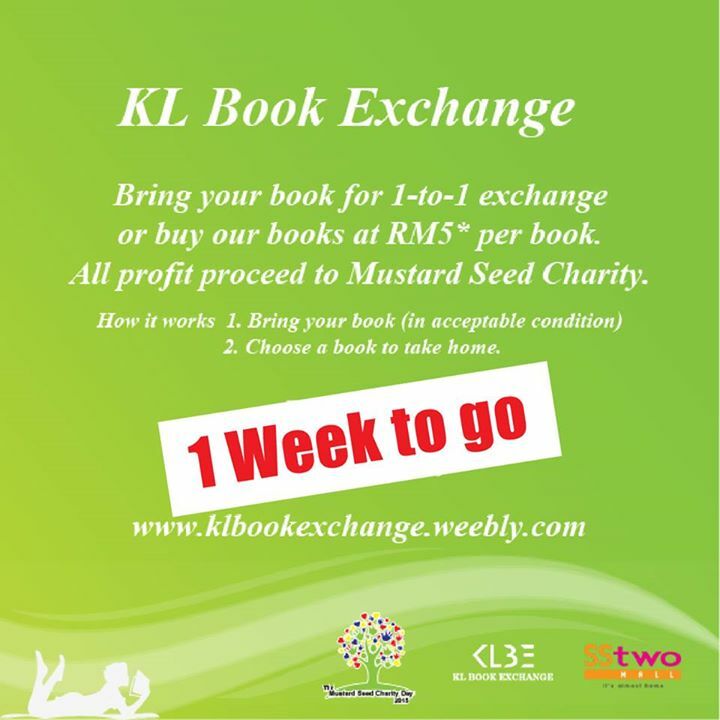 This entry was tagged Book club, Event, Malaysia, Readers, Reading habit. Bookmark the permalink.